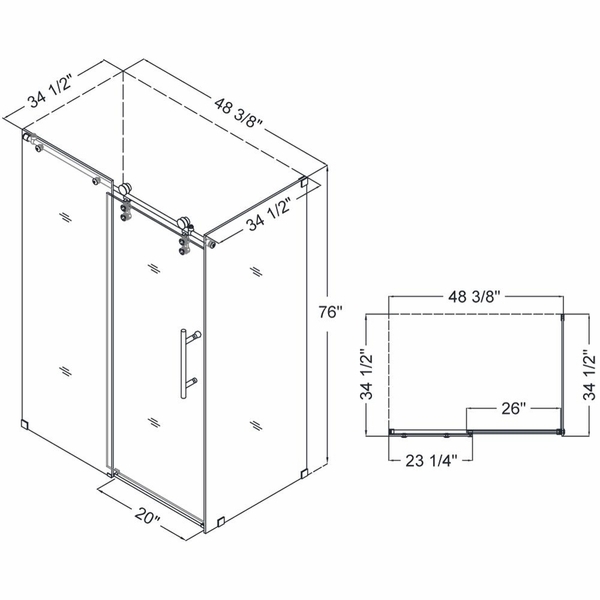 Door walk-in: 26 in. ; Stationary panel: 23 1/4 in. 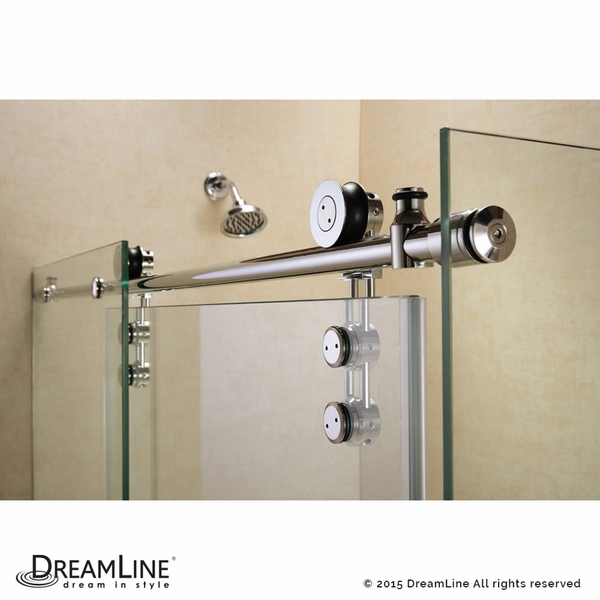 Both classic and timeless, the DreamLine Enigma-Z Frameless Sliding Shower Enclosure will add sparkle and style to any boring bathroom! 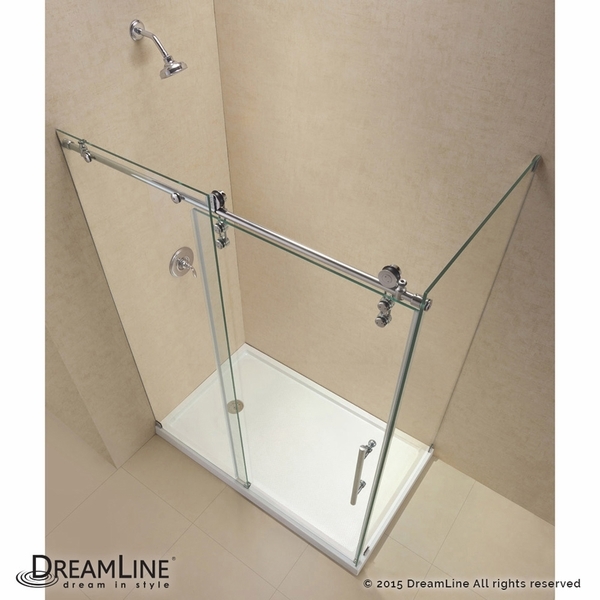 This particular enclosure will stun your family and friends with its perfect dimensions - 34 1/2 inches in depth, 48 3/8 inches in width, and a whopping 76 inches in height. There's no one too big or too small for the Enigma-Z. 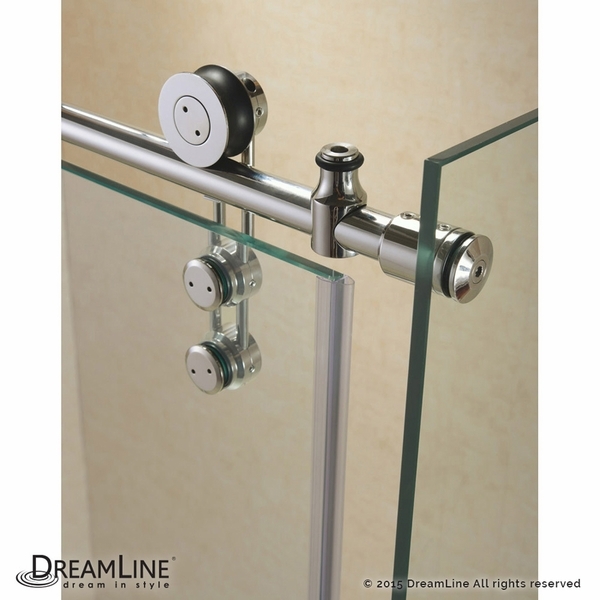 The quality, clear glass in this shower is complemented spectacularly with the stylish urban stainless steel hardware (choose from polished or brushed stainless steel). 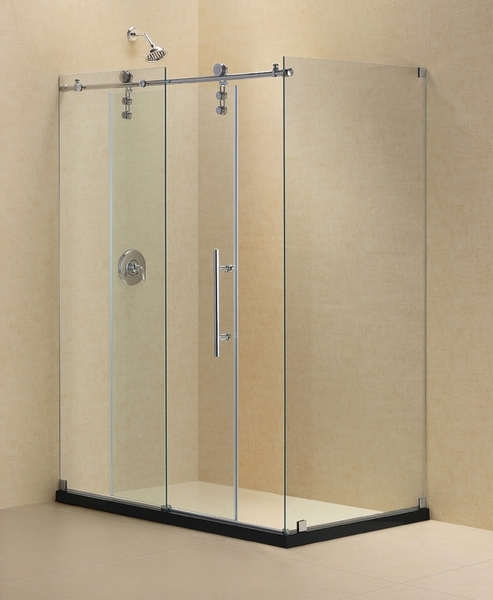 Get ready to look forward to early mornings again, because the Enigma-Z shower enclosure is sure to delight you!